I wanted to say something clever here. You know-something like "I've always loved photography" or "I'm an Artist, that's what makes me different". When I thought about it, I realized that it doesn't matter what my philosophy is or why I am a photographer that people care about. It's the image. To me it's not someone in the background with an expensive camera taking snapshot after snapshot of your kids being themselves. Anyone with a good camera can do that. OK, maybe not everyone, but even my Aunt Marge could do that. She would set us all on the couch (my sisters and my cousins) and snap picture after picture just to be safe that she got one with everyones eyes open. Usually she didn't, but I digress. It's all about the image, the light hitting the face in just the right way. It's about the smile. Yes! It's about the smile, not a fake smile or a pretend smile but a natural smile or even a fun smile. Whatever it's takes. It's also about being serious. To me that means not looking sad or grumpy, but calm, quiet and beautiful. It's also about the eyes- you know "The eyes are the window to the soul". Well maybe I'm getting too deep here, but you know what I mean. Lastly, it's about the bond. The bond between a brother and a sister or between a parent and their child. So, if you like the images that you see here, give me a call. I would love to be your photographer. My Aunt Marge would be happy that you chose me too. 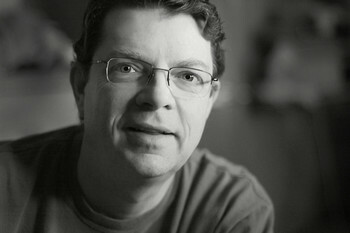 Oh, by the way, my name is Greg Sullivan and I am a Portrait Photographer. I closed my studio a couple of years ago and now photograph only on location. I wish that I had done it earlier. It is so much more fun on location.